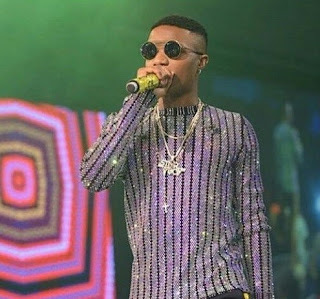 Wizkid had his concert on the eve of Christmas at Eko Hotel, Lagos and his outfit was amazing. 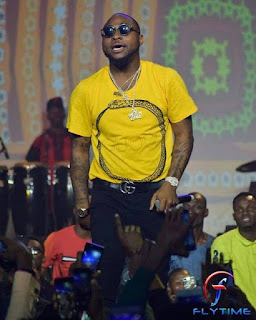 Davido surprised the audience by showing up at his rival's concert. 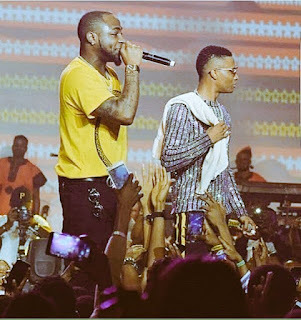 Whiles performing his new hit song FIA, Wizkid joined him on stage and it was flames. The audience got boisterous when they saw the rivals performing together. The rivals did the unthinkable thus, smiled to each other, hugged each other etc. 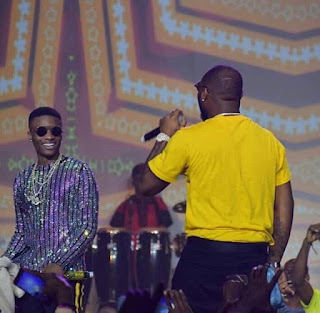 Wizkid's team and Davido's team picked a fight at the just ended One Africa Musicfest in Dubai so it is amazing how the two have quashed their long time beef all of a sudden and showing love to each other on stage. The superstars might be on the same stage together on December 27.